ABC AnchorsNewsABC AnchorsBlue forest – Belton House Adventure Playground Bridge and Walkway. 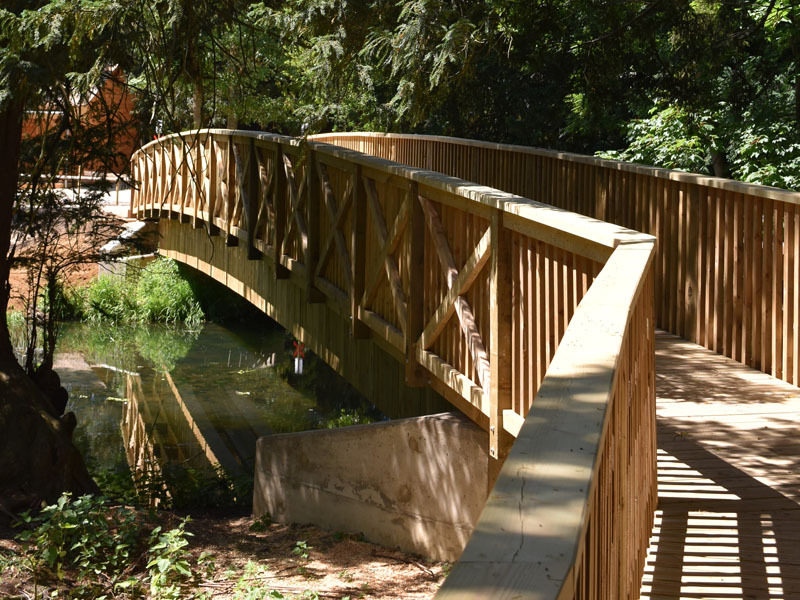 This project involved installing foundations for a wooden footbridge and wooden walkway in an area that was very difficult to access with plant machinery and was protected because of listed ruins in the area. The area was also extremely boggy and could only be accessed for a short period between the wet seasons. All these restrictions meant that the majority of the foundations would have to be installed by hand and all the equipment would have to be brought to site manually. It was decided that this project could be undertaken using our 60R piles and installing them with the 400H hand held torque head. 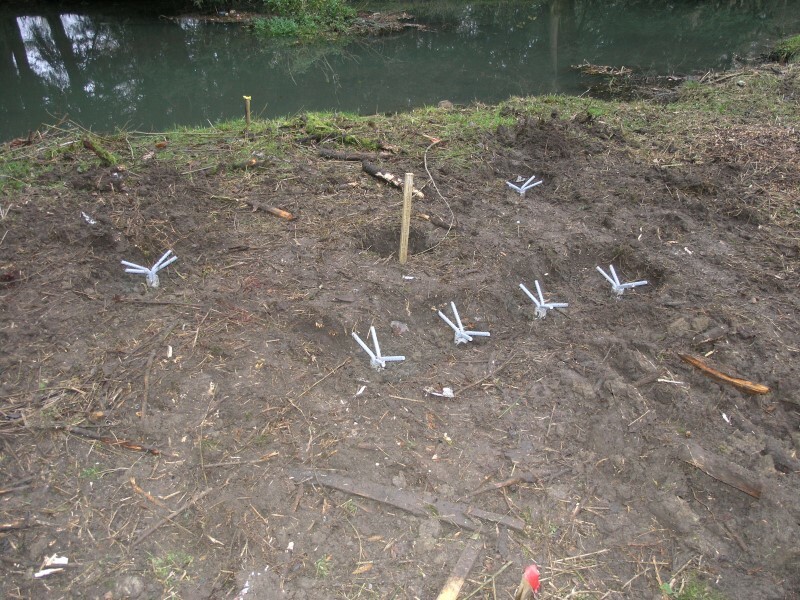 For the bridge abutments we installed 6 screw piles at either end onto which a reinforced concrete slab was poured. 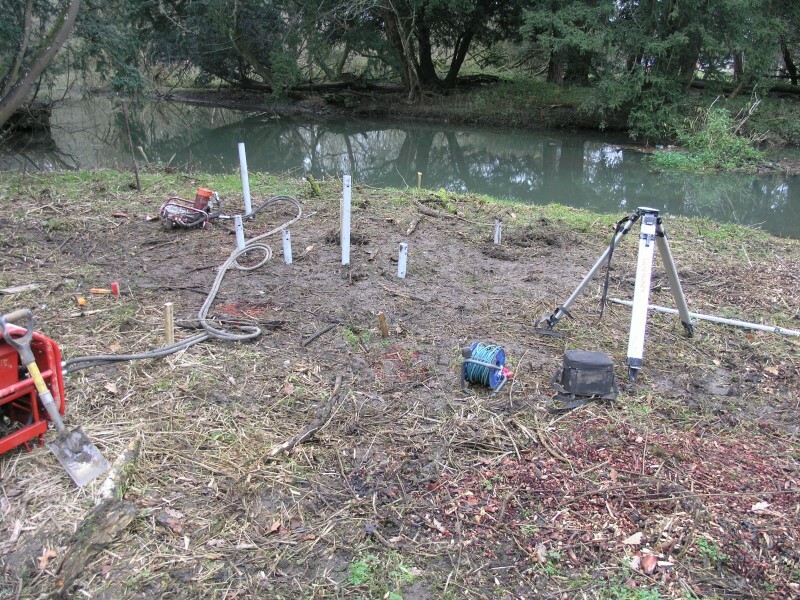 The screw piles had to be installed to 5m deep to ensure they were in good quality stable ground. Great care had to be taken not to damage any tree roots in the top 1-2m of soil. The boardwalk piles proved to be even more of a challenge due to the pile positions being in a partially flooded area of natural bog. 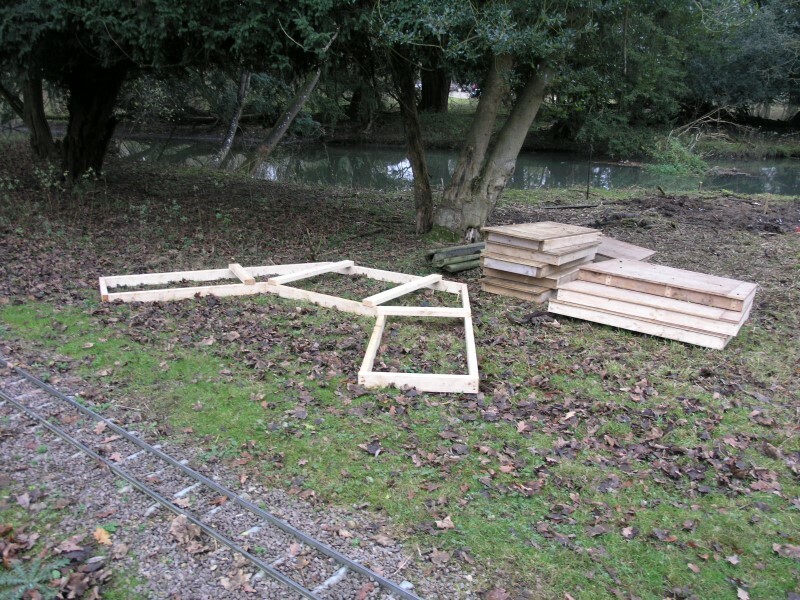 The only access was via a temporary wooden sleeper bridge which was only floating on the saturated land. One row of piles was 4m to the side of the access bridge which made it impossible to reach using the 400H hand held unit as before. It was decided to use a 3t mini digger to install these 12 piles but it was touch and go whether or not the temporary bridge would take the weight of the 3t machine. Careful manoeuvring and a skilled driver proved that it would be possible to install the piles in this way. Additional sleepers had to be placed into the bog to allow the digger to reach out the 4m to the pile position and once the pile tip was installed into good ground the excavator could then use the pile for support. 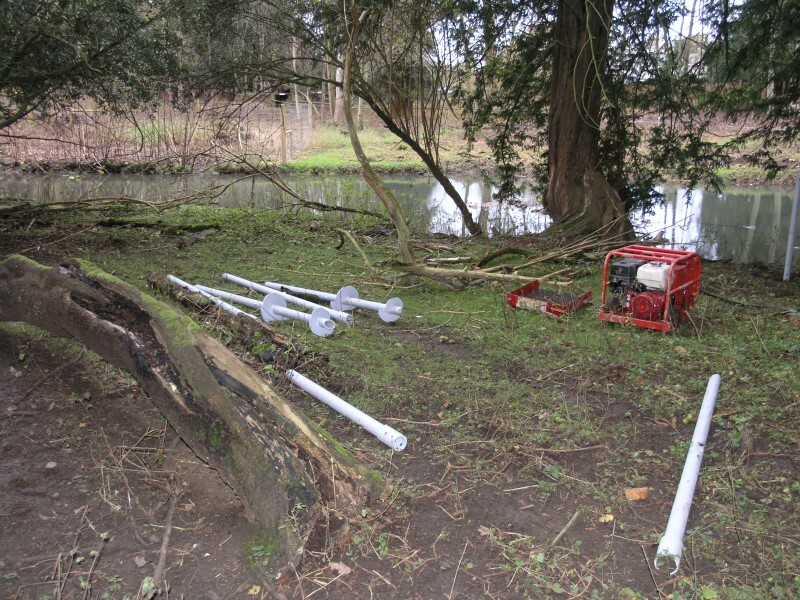 The 12 piles were all installed to 6m deep before adequate torque was reached. 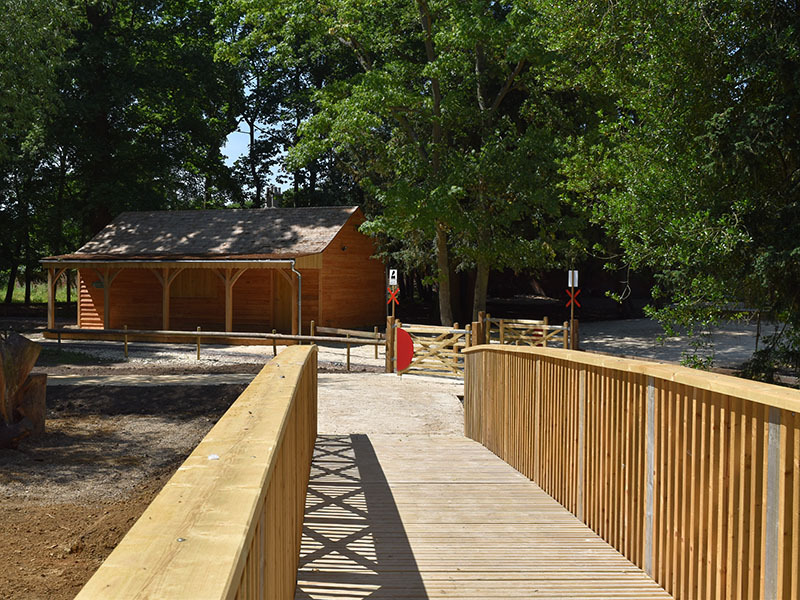 This challenging installation proved a great success as the 12 piles now form the base of a spectacular wooden walkway over an area of natural marshland.